Sharks drown if they stop swimming, and so does your company’s online presence if you don’t keep up with the latest trends. So, what’s new? Let’s take a look. Do you have a travel startup? Did you organize a conference in a cool location, and need to share images with your followers? Snapchat’s latest feature, Snap Map, is just what your social media campaign needs. Snap Map lets you view Snaps submitted to Our Story from around the world. Snaps could include events, celebrations, a beautiful sunset or the killer waves you just surfed. Do you need to post a Snap of a meticulously posed hippie doing yoga somewhere exotic? Use Snap Map. Wondering what it looks like? Check it out. As you’ll see, Snap Maps lets you find Snaps in your area, Stories created around special events and locations like museums and sports games, and friends that have shared their location with you. Explore lets you share your journey and discover Stories from around the world. Ghost Mode is available when you want to drop out and go off the grid. Snappables are new types of lenses that let you and your friends play games on Snapchat. Like everything else Snapchat, they’re easy to use. Instagram last week introduced the emoji slider, a sticker that allows you to interact with your followers on Instagram. The emoji slider lets you ask your followers what they think about certain things, like which color product they prefer or how they would rate your service. Say you’re covering an event, and a speaker says something interesting. Quote her, ask your followers if they agree, and put a slider on it. “By choosing an emoji for your question, you also add a layer of emotional context that helps those answering understand your tone and answer accordingly,” Instagram wrote on their blog. Adding an emoji slider sticker to your Instastory is easy. Take a photo or video, and then select the appropriate emoji slider sticker from the sticker tray and place it wherever you’d like. Don’t forget to write your question! If you don’t find an emoji sticker that matches your question’s mood, don’t stress. You can use almost any emoji from your library. When you see an emoji slider in a story, just drag the emoji to the left or right and watch it animate as you make your decision. Release the emoji to set your response, and you’ll see the current average of how others have responded so far. The beauty of these updates, and many others are in the flexibility with which they can be used. How are you using Snap Maps and Emoji Sliders? 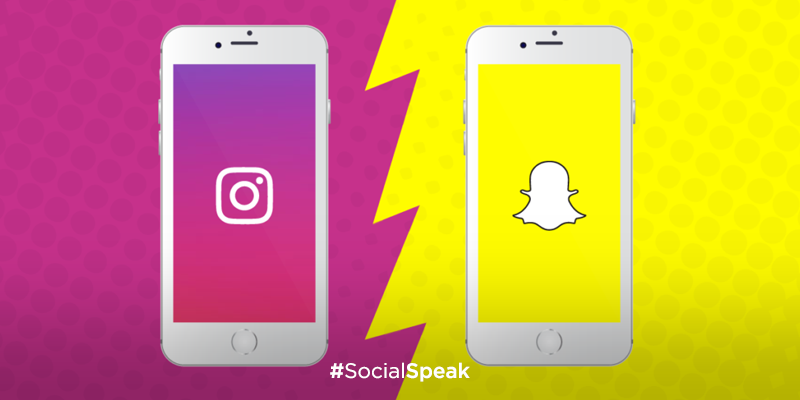 Stay tuned for next week’s #SocialSpeak!